Published September 13, 2016 at 917 × 1248 in Chevy Bolt EV Specifications. 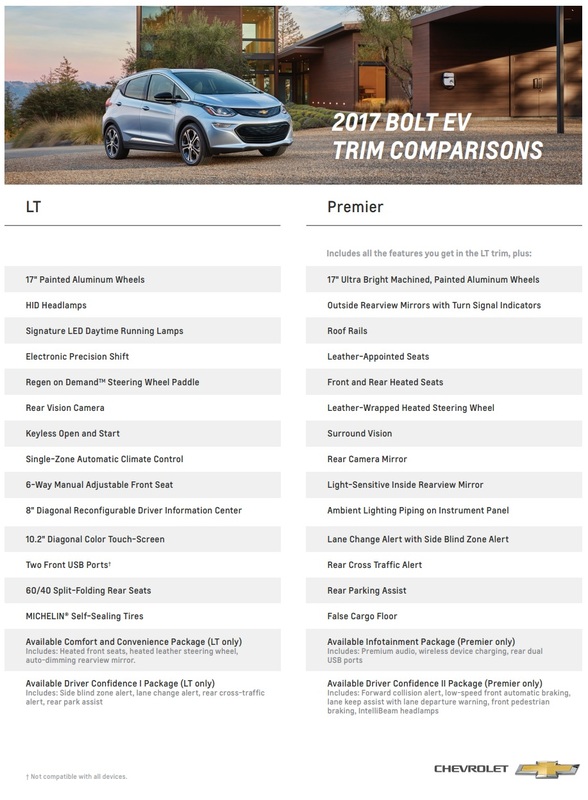 The Bolt EV comes in an LT or Premier trim. This image outlines the differences between the two.